Pets Helping Agriculture in Rural Missouri (P.H.A.R.M Dog USA) is the brain child of Jackie Allenbrand. The organization's goal is to make life easier for farmers and farm family members with disabilities. Those eligible for services may have any type of disability (physical, cognitive, or illness-related). Allenbrand trains two types of dogs - herding dogs and service dogs, trained to retrieve dropped tools, open gates and carry buckets. “We try to use dogs from rescues or shelters. You’re helping a dog and you’re helping a person,” says Allenbrand. For the herding dogs, dog trainers often donate pups. Allenbrand says they try to make training simple for the farmers since most of them cannot spend much time away from the farm. Instead, the trainers go to the farm. “We get the dogs used to the livestock, their facility, their home, and they can ask questions,” says Allenbrand. Herding Dogs, primarily border collies, help farmers manage their livestock. Alda Owen struggled her whole life with being legally blind. She managed her 260-acre Missouri farm as best she could, only being able to see blurry shapes and very close objects. Alda was making due, but after a bull knocked a gate into her, Alda's daughter decided she could use a helping hand. 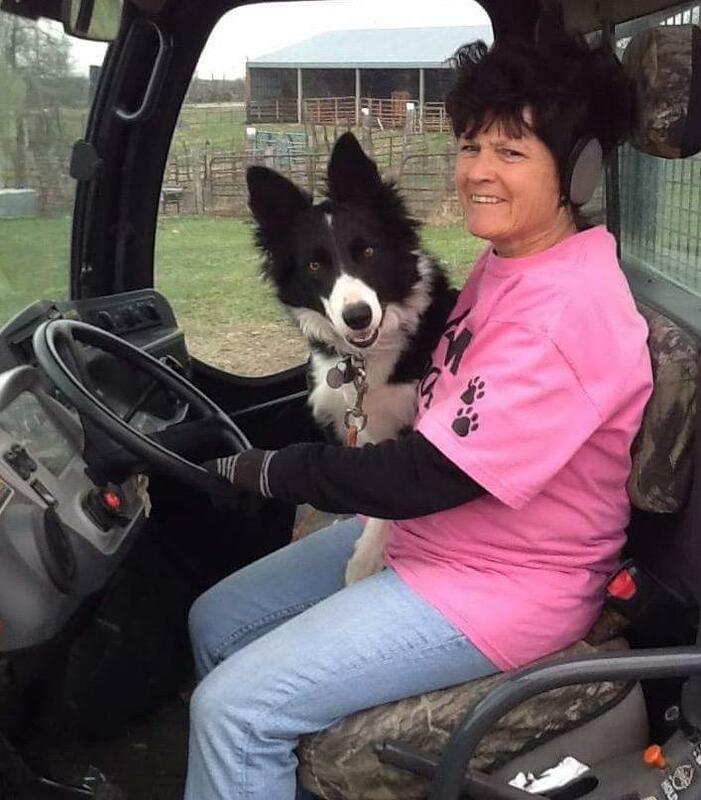 P.H.A.R.M Dog USA matched Alda with Sweet Baby Jo, a Border Collie that she credits with helping her remain productive and keep the life her family has built. Sweet Baby Jo not only helps with the chores, but provides key emotional support as well. Alda's disability kept her in her small comfort zone for most of her life, but since Sweet Baby Jo entered the picture, Alda has started traveling and speaking at panels about farmers with disabilities. Service Dogs primarily labs or lab mixes, can be trained to do a variety of helpful tasks such as retrieving or picking up dropped tools, opening a latch gate system, carrying buckets, as well as standing and bracing if a farmer has stability issues, or going for help. Disabled farmers from across the country have called Allenbrand asking about available dogs. PHARM Dog has operated on a shoestring budget but Allenbrand wants to expand it nationwide.